There are so many different primers on the market at the minute that all do different things for different skin types. As i've mentioned before my skin is combination/oily so I thought i'd share with you the primers i've found to be the best and the worst for my skin! A primer is vital in my makeup routine to ensure that my makeup stays in place all day without shifting or going shiny. This primer is my all time favourite primer! It claims to minimise the appearance of pores and it does just that, it is the perfect base for when you want a flawless face. This primer is literally as soft as silk to apply and really makes makeup cling to the face, however it doesn't cure going shiny so I can imagine it works just as well on dry skin. It's best used on the T zone as thats where pores are usually more visible. It retails at £24.50 but its honestly worth every penny and it lasts a very long time! You can get your hands on it here. This is the newest primer in my makeup collection after seeing a bunch of positive reviews about it and I must say I LOVE this primer! "With Shine-Bloc 12HR Matte Spheres & Pore Shrink Technology." This primer is fabulous for keeping my skin matte for the longest amount of time! You only need a tiny amount of this and it still manages to shrink the appearance of pores. It is available here and only costs £10.00, DEFINITELY WORTH IT. This primer is the strangest texture and I think that is what put me off it first. It supposed to smooth the skins texture by reducing the appearance of pores and fine lines, which it does to a certain extent. Don't get me wrong it does make them less visible however with this primer it tends to feel like its actually blocking my pores slightly so it makes my makeup feel a lot heavier than it is! It retails at £17.00 and is available here. 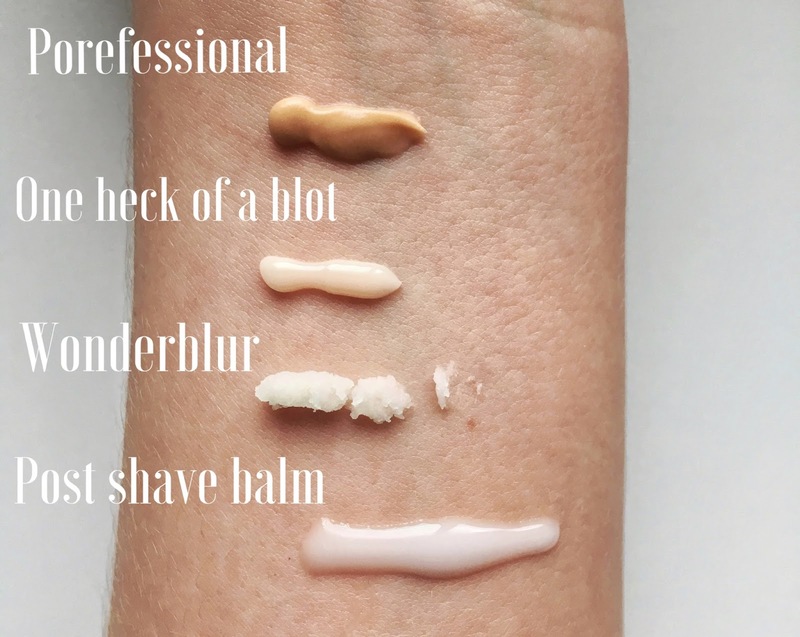 You're probably wondering why this product is on a blog post about primers but truth is it makes your makeup last a VERY long time. A lot of people absolutely love this product as a primer but unfortunately I'm not one of them. It acts as a glue to foundation which is fab and the scent isn't too overpowering either! I did however found after using this product a couple of days in a row it actually made me break out so it's a no from me. It is only cheap so I'd definitely recommend giving it a go as it literally makes your makeup last forever, you can pick it up in boots for just £5.35. What's your all time FAVE primer? I use Porefessional on my t-zone like you and then use my L'oreal professional primer everywhere else.........that's when i wear make-up! i don't actually wear much these days as my skin is so good! aha! I loved this, please do more! I love the photos.....great quality!